Premise- One contestant is surprised with the news that they are on a game show and must answer a series of questions for cash. In the first round, four true/false questions are asked for $25 each and the contestant must answer two questions correctly in order to advance. Each correct answer earns the contestant a quarter tank of gas to fill their gas meter in the game. 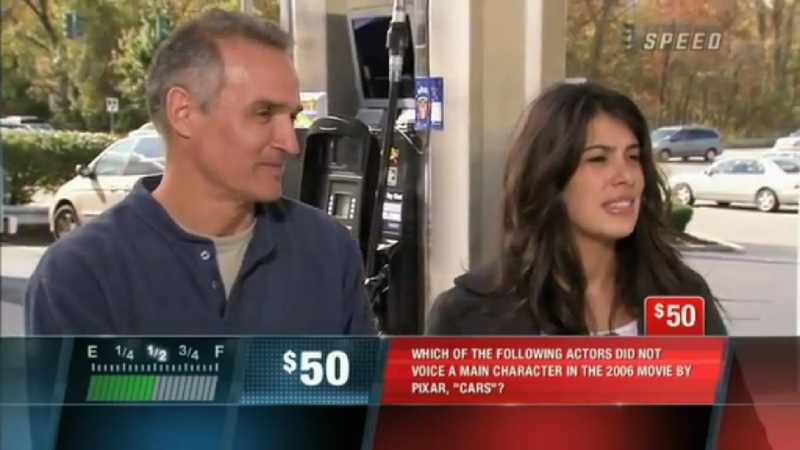 In the second round, four multiple choice questions are asked for $50 each, and incorrect answers lose the contestant a quarter tank of gas. In round three, the Bonus Round, the contestant can win anywhere from $25 to $200, depending on what the bonus challenge is. In the fourth round, four questions are asked where the contestants must provide the answers on their own for $100 each. 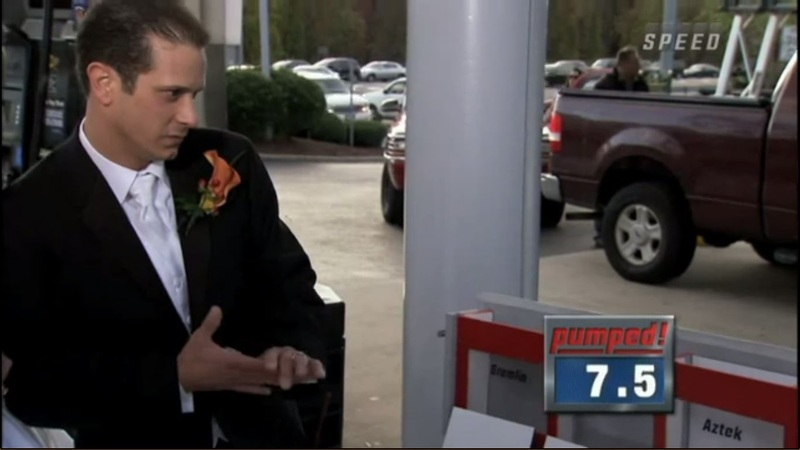 If the contestant hits empty on their gas meter at any time during the game, the game ends and the contestant loses all their winnings. Otherwise, the contestant can choose to take the Top-Off Challenge. In the Top-Off Challenge, the contestant will be asked one final question. A correct answer doubles the contestant’s winnings, while an incorrect answer loses the contestant half of their winnings. Answering every question correctly could win the contestant up to $1,800. From the show’s intro to the $200 bonus challenge, SPEED’s newest game show Pumped is essentially a rip-off of Cash Cab. However, I do like how the questions get progressively difficult with each round and the top cash prize is good for an on-location ambush game show. I also like how the show isn’t overloaded with product plugs, as on the 2003 version of Shop ‘Til You Drop. My main problem with the show is the lack of originality because of how often they rip-off Cash Cab throughout each episode. Also, I couldn’t help but notice that the contestants look bored playing the game and the people around them watching look confused and a little bit bewildered. As for the host, Greg Fitzsimmons is a decent host for the show and pretty much sticks to the script. I like how he interacts with the contestants and tries his best to keep them entertained throughout their games with his light-hearted humor. Overall, this show is just simply trying to copy the success that Cash Cab has had for the past few years. However, Pumped is a decent show to watch and passable as a game show, despite the show’s lack of originality. Watch Pumped Thursday Nights at 7:00pm on SPEED!! !